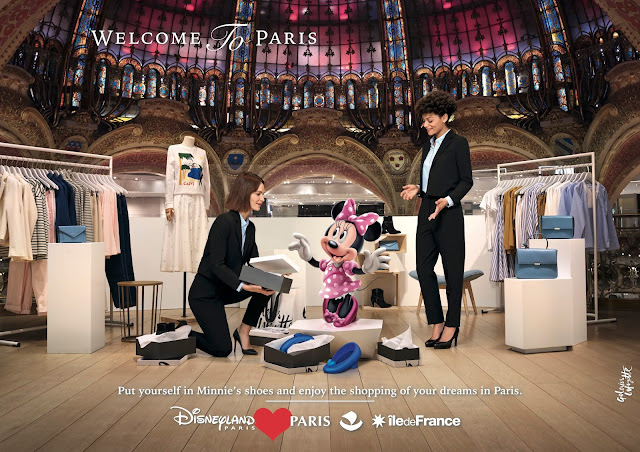 Disneyland Paris, the city of Paris, and the Île-de-France Region are unveiling a new joint campaign to promote tourism in the area, highlighting the magic of Paris and its Region. 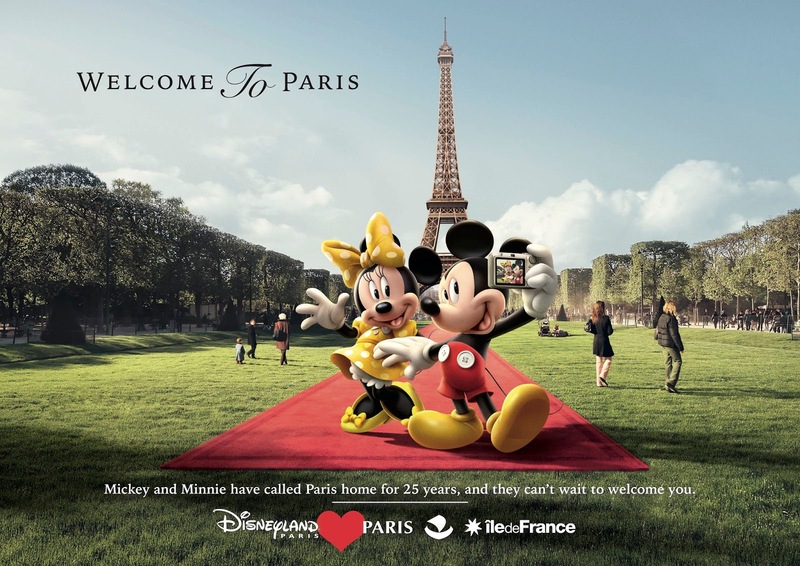 Disneyland Paris is Europe’s number one tourist destination, and is uniting with the City of Paris and the Île-de-France Region to give pride of place to France’s capital city through their first joint tourism ad campaign “Paris is waiting for you.” Favourite Disney characters such as Mickey and Minnie invite visitors from all over Europe to come and discover the magic of Paris. On February 24th, the campaign was officially unveiled by Anne Hidalgo, Mayor of Paris, Valérie Pécresse, President of the Île-de- France Region, and Catherine Powell, Présidente of Euro Disney S.A.S. The venue chosen was the Eiffel Tower, the international symbol of Paris. The pull of Paris and its region contribute to the success of Disneyland Paris, and Disneyland Paris plays a part in the attractiveness of Île-de-France for tourists. More than 50% of foreign guests in the Disney parks also visit the capital city. “Disneyland Paris, the number one private destination in France, plays an important role in drawing tourists to Paris. The resort is a major economic player in our area, as it generates more 55,000 direct, indirect and induced jobs each year. Since the start of my term, we have also developed strong relationships in social action and solidarity, with a series of activities that allow young Parisians in difficult situations to enjoy the resort every year. For the 25th anniversary of this partnership, I am happy to reaffirm the City of Paris’ attachment to this world-class theme park,” added Anne Hidalgo, Mayor of Paris. “As the leader of tourism in Europe, we have a responsibility and we share an ambition with our partners: to promote the cultural, gastronomic, and architectural traditions of Paris and Île-de-France so that tourists continue to be enchanted,” said Catherine Powell, Présidente of Euro Disney S.A.S. This campaign was also made possible through collaboration with the Galeries Lafayette department store, the Château de Fontainebleau and Chef Hélène Darroze, who agreed to lend their images to support the City of Paris and the Île-de-France Region to keep Paris attractive and maintain its reputation throughout France and Europe. Thanks to well-known partners such as Facebook, JC Decaux, SNCB, the Comité Régional du Tourisme, and Atout France, this campaign will be widely distributed across France and Europe. 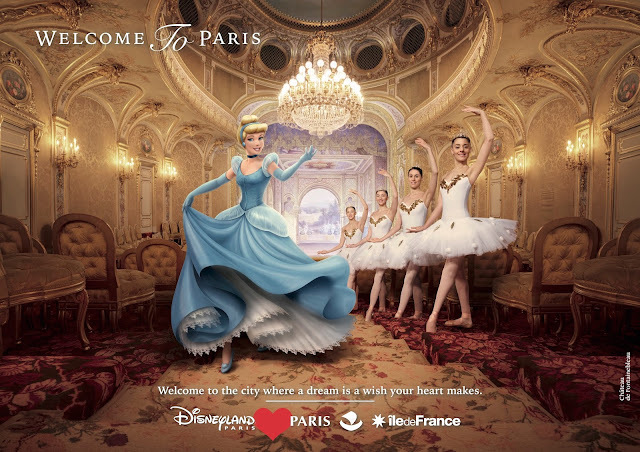 The BETC agency, with BETC Corporate at the wheel, designed this original campaign where the splendour of famous sites from Paris and its region – including the Galeries Lafayette and the Château de Fontainebleau – comes together with the magic of the world of Disney. 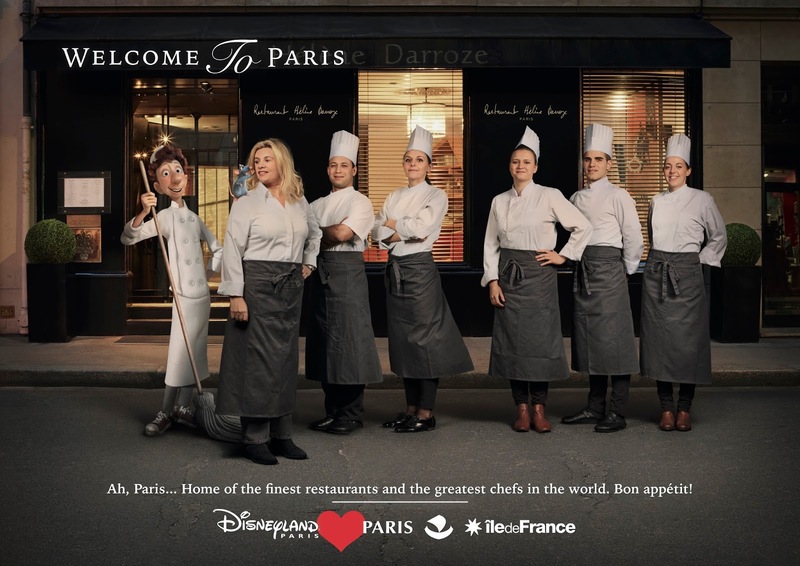 Through the campaign, tourists will discover iconic landmarks of Paris and its region, as well as symbols of gastronomy, culture, and art, featuring several beloved Disney characters. The Paris version of this European campaign has been visible since February 22nd in different areas of Paris, welcoming foreign tourists to the city. The campaign will next be rolled out in London, Brussels, Madrid, and Barcelona from February 27th. 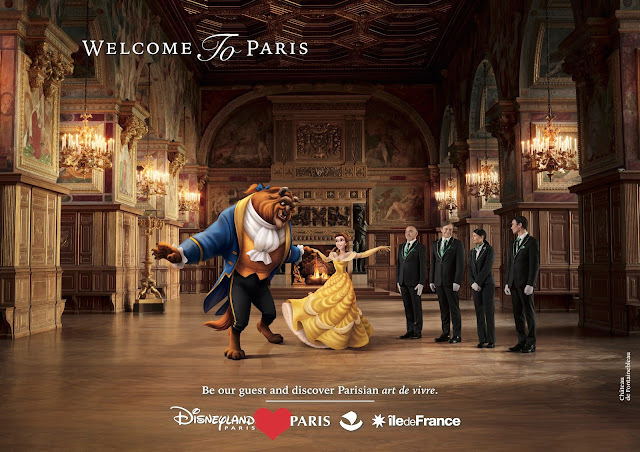 This unprecedented campaign celebrates 25 years of the close relationship that Disneyland® Paris has with France, alongside the City of Paris and the Île-de-France region. This is a formidable symbol of the strength and sustainability of the relationship that these key players in the tourism industry share in France and Europe.